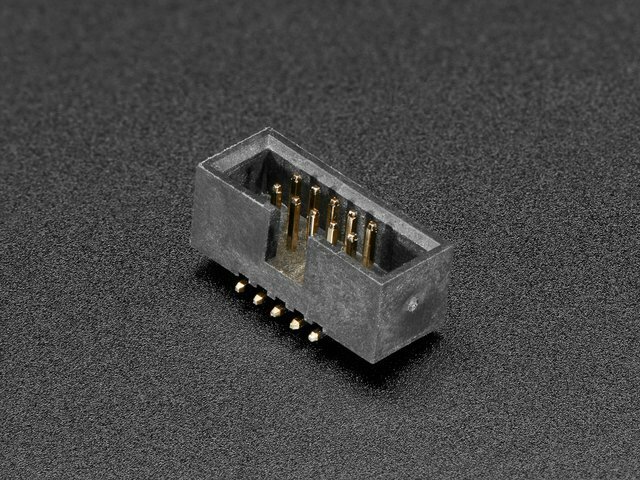 If you've ever had to ship a bunch of pre-programmed ARM based microcontrollers (and we have), you know that it can be a bulky process. The traditional way to do it requires a computer and a J-Link or some other type of programmer. However, most Atmel ARM cortex microcontrollers can be programmed via the Debug Access Port (DAP). This is made easy Thanks to the excellent free-dap project by Alex Taradov. 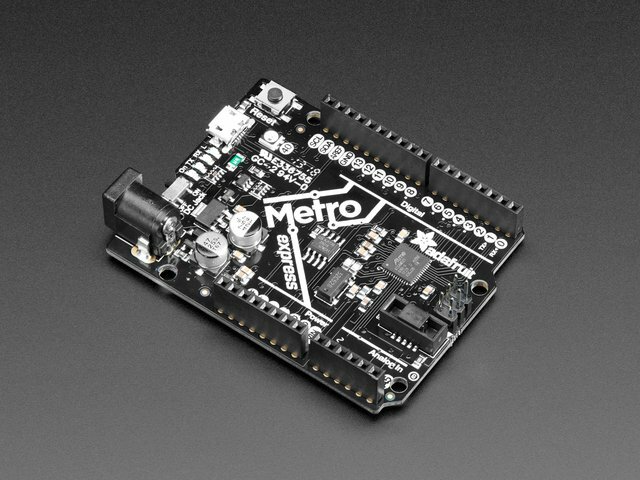 What we've done is package up both the host and device components of free-dap into something that's Arduino-compatible, so you can use an ATSAMD21 based board such as the Feather M0 or Metro M0 to program boards quickly and easily with no host system. 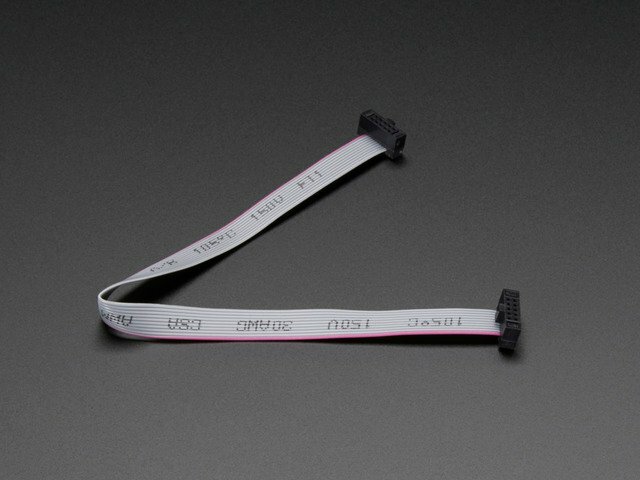 Note that an ATSAMD21 based board must be used as the programmer. 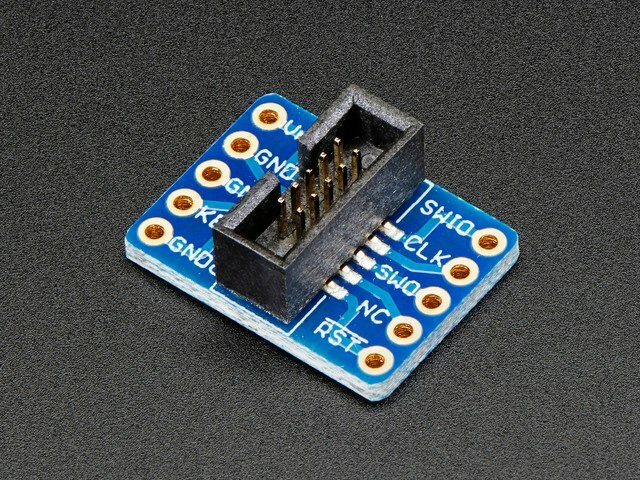 AVR based boards like the Feather 32u4 will not work. 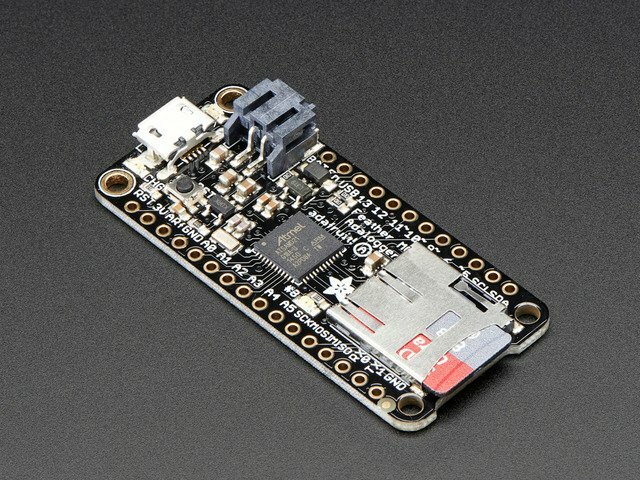 In this tutorial we will be using a Feather M0 Adalogger to program a Gemma M0 from an SD card. First we will need to solder wires to the exposed SWD pads on the back of the Gemma M0 so we can access the DAP. Place the binary file you would like to program onto the Gemma on a microSD card and title it fw.bin. Make sure you are writing a .bin file to the microcontroller. A .hex file will not work with this example. 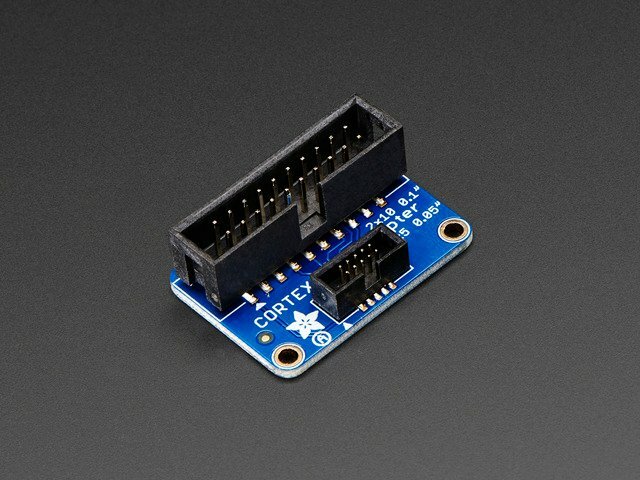 Rename the uncompressed folder Adafruit_DAP and check that the Adafruit_DAP folder contains Adafruit_DAP .cpp and Adafruit_DAP .h as well as a few other source files. Place the Adafruit_DAP library folder your arduinosketchfolder/libraries/ folder. Open up File->Examples->Adafruit_DAP->flash_from_SD and upload to your Feather wired up to the Gemma. And you're done! The Gemma is now running the code that was in the fw.bin file you placed on the SD card. You can also do things like get/set the user NVM (fuses), verify/read firmware on chip and run a CRC on the firmware through SWD which is much faster than verifying each byte. Check the SWD_standalone_core example for code snippets you can use to do the above. Right now we only have commands for the ATSAMD series. We'd be really into having other people add the SWD command magic for other chips, so if you do adapt this code for your favorite Cortex, please submit a pull request! This guide was first published on Aug 29, 2017. It was last updated on Aug 29, 2017. This page (Overview) was last updated on Apr 25, 2019.